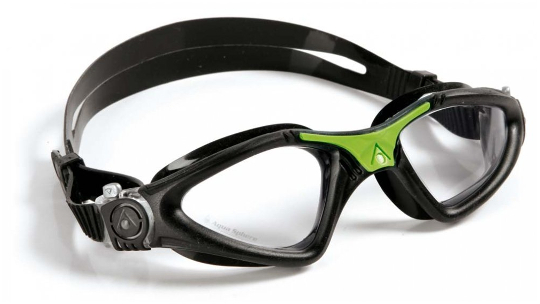 The Aqua Sphere Kayenne provides the benefits of an open water swimming goggle with a large surface area for leak proofing and 180-degree field of vision, whilst maintaining a low-drag hydrodynamic fit. This is a google that will look just at home in the pool as the open water. As with all Aqua Sphere goggles the lens features UV protection and a fog and scratch resistant finish. Also available in a women's specific size for smaller faces.